The rapid developments on the cryptocurrency market are constantly raising new questions about the future of Bitcoin and co. In order to answer these questions, experts who have been involved with the market from an early stage and understand its structures are needed. One of them is Max Tertinegg, CEO and Co-Founder of Coinfinity. 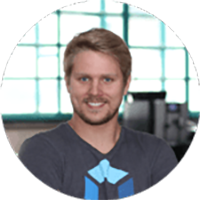 In 2014 he founded Coinfinity, an Austrian Bitcoin broker for private individuals and companies. Under the motto "Bringing Bitcoin to the people", Coinfinity offers Bitcoin trading, consulting for companies and informative lectures. 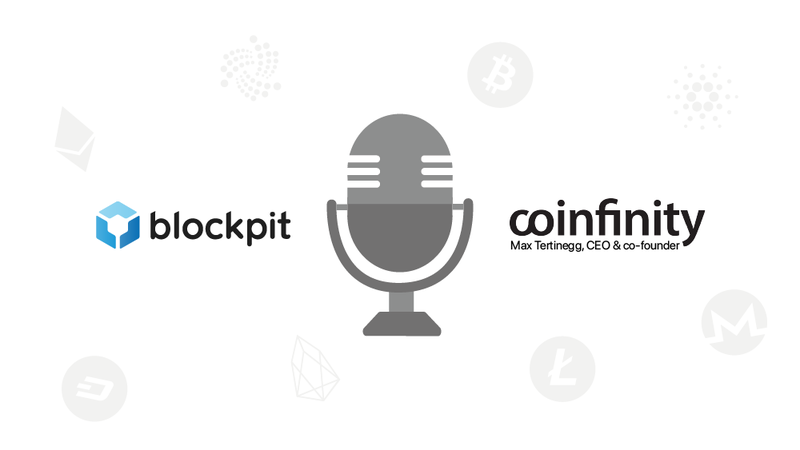 In our interview Max shares his experiences and developments at Coinfinity, his assumptions about Bitcoin's future and his expectations of the Austrian crypto scene. Blockpit: Thank you Max for your time. The market has calmed down after a hype last year and a strong price drop this year. How did Coinfinity experience these turbulent 12 months? Max Tertinegg: Parallel to the Bitcoin course, also our customer demand has changed. After a high at the end of 2017, it now levelled off at a normal level. This is positive as it gives us more time to develop our technical solutions in the background. In general, a bear market always offers good opportunities for technical development, which we also use. In the last few months we have also made some very interesting partnerships with well-known companies such as the Austrian State Printing Office for our Card Wallet. Although it is still relatively quiet at the moment, we assume that another bull market, for which we are already preparing, is imminent. "In general, a bear market always offers good opportunities for technical development." You will certainly often be asked how you see the future of Bitcoin and co. How positive are you about 2019 and why? In general, I am very positive about the future of Bitcoin. I can't say whether the price of Bitcoin 2019 will go up or down. But I'm pretty sure that in 2019 more people will discover Bitcoin for themselves, and that the use of Bitcoin will also increase, both as a store of value and as a means of payment. From your point of view, how do you see the Austrian cryptoscene? In which areas are we pioneers and in which do we need to catch up? We have a very lively and, in my opinion, very diverse scene in Austria. Not only in the area of classical trade with cryptocurrencies for which Austria has some showcase projects, also in the general blockchain area there are really good ideas. I believe that we are located in the upper third, compared to other European countries. We have a lot of catching up to do in the area of political implementation of demands of the crypto scene that have been around for some time. Liechtenstein is a good example which we should keep in mind. However, I have the feeling that a lot has changed in recent months and that we will see good political results next year. "We have a lot of catching up to do in the area of the political implementation of demands of the crypto scene." One development in the crypto scene are security tokens. They are said to have great potential. Is this justified? What challenges are to be expected? I see great potential here, but I believe that it will take a little longer than expected for this model to become reality. The principle of tokenization is unstoppable and will not stop at securities either, but due to the already very strong regulation of securities I see a lot of work ahead for all parties involved. A security token, unlike a pure cryptocurrency such as Bitcoin, is always tied to something external and will therefore raise many more regulatory questions about issuance, transmission and use. Your company's motto is: "Bringing Bitcoin to the people". Where do you see your personal task to spread the vision of cryptocurrencies? And what can we expect from Coinfinity in the coming years? My personal approach is above all to show an alternative to our current monetary system. As far as Coinfinity is concerned, we are currently evolving from a B2C to a B2B provider, we are focusing more and more on building technical solutions for other companies that want to implement something in the Bitcoin and blockchain area. Thank you very much for your insights, Max. We are looking forward to the future.